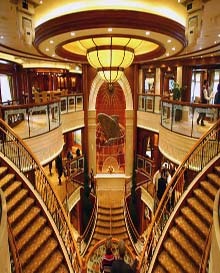 The newly rebuilt Victoria Queen offers graceful public areas, with high ceilings carved with delicate craft and detail. 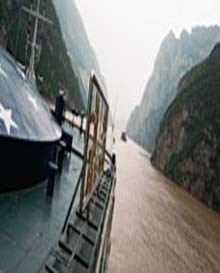 Personal onboard service and programs which focus on the Yangtze's unique destination--its scenery, natural history and culture--greatly enhance the cruising experience. 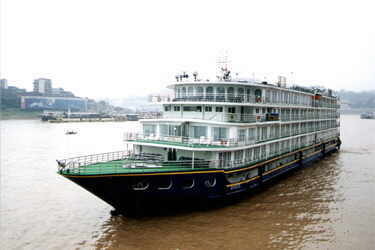 Multi-lingual international Cruise Directors and local River Guides deliver lectures on history and culture, and Yangtze River. Acupuncture demonstrations. Play mahjong in the Game Room. 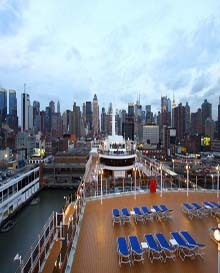 View a wide variety of closed-circuit China movies in your cabin. Western or Chinese massage, facials, and hairdresser in Beauty Salon. Single-seating in Dynasty Dining Hall includes: full American buffet breakfast, buffet luncheon with Western and Chinese selections, evening banquets with Chinese delicacies and Western dishes, complimentary coffee, tea, cold drinks with each meal, local beer included with lunch & dinner). Captain's welcome cocktail party and farewell banquet. Live entertainment in Yangtze Club featuring traditional performing arts and cultural costume shows.